checks their phone 150x per day. spends only 1:15 on a task before being distracted. takes 25 min+ to get back to a task after a distraction. takes 50% longer to complete a task. 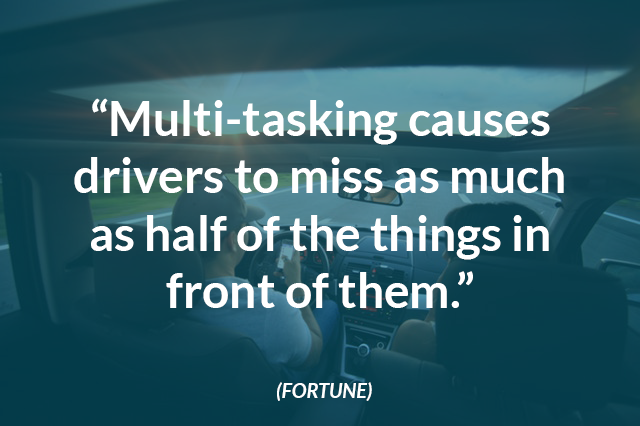 Assuming multi-tasking is a time-saving solution is your first mistake. 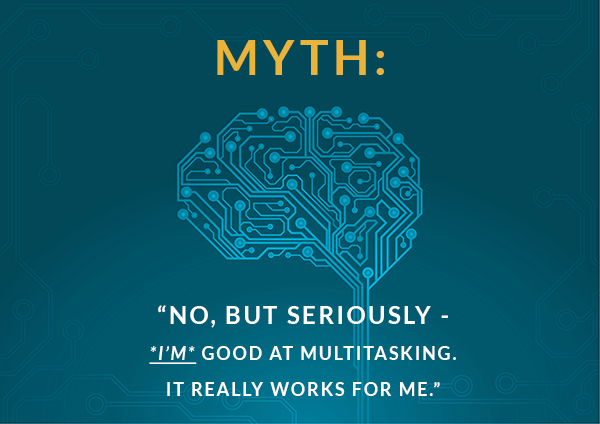 Multi-tasking makes you busier – not more productive. and increases the number of errors in any performed task. Research shows our multi-tasking habits cost the global economy about $450 billion each year (Inc.). Silence email and social media notifications while working. Push notifications are a HUGE culprit when it comes to distracting you from staying on task. Keep as few tabs open as possible. You might think you need all those windows open, but you do not. They’re disrupting your focus. Work on one thing at a time. Sometimes, it’s helpful to set blocks of time to devote to any one task. By setting the intention for a certain hour to be spent and writing it down in your calendar, you’re going to be more likely to stick to it and follow through. Take short breaks. Rather than treating your workday like a marathon, you should designate 5 to 10 minutes every hour for a short break. Use this time to take a walk around the office or even run out for iced coffee. This will increase oxygen flow to your brain and get your creative, productive juices flowing once again. If you or someone you know would like to talk more about how to stop multi-tasking and improve productivity, please contact us and let us know. We can help.